Google on Monday dedicated its creative doodle to mark the 148th birth anniversary of the father of Indian Cinema Dhundiraj Govind Phalke, popularly known as Dadasaheb Phalke. Born on April 30, 1870, in Trimbak, Phalke gave Indian Cinema its first silent film, 'Raja Harishchandra' in 1913 with special effects, making it a huge hit. Dadasaheb Phalke passed away on February 16, 1944. After independence, in 1969, the government paid homage to the visionary filmmaker by establishing the Dadasaheb Phalke award recognizing lifetime contributions to Indian cinema. The Google Doodle is made by artist Aleesha Nandhra. 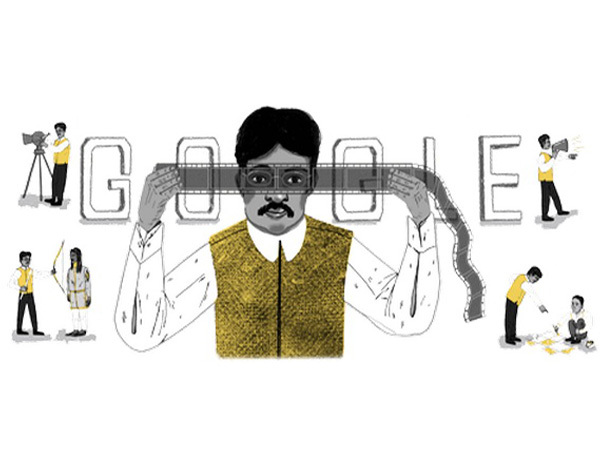 The doodle depicts a young Dadasaheb in action as he went about directing the first few gems in the history of Indian cinema.